For over 20 years, Natural Dental Health Associates has been one of the largest holistic dental practices in the Pacific Northwest. 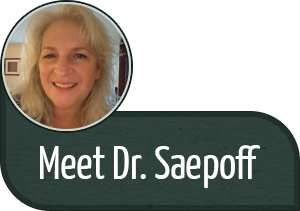 An important aspect of this practice is Dr. Jessica Saepoff’s extensive knowledge of naturopathic medicine and alternatives in the health field. This is why our dental treatments integrate smoothly with your health goals. We always offer the least toxic and least invasive treatments available. Digital X-rays, 2-D and 3-D cone beam, for minimal radiation exposure, and only when absolutely necessary! Please schedule an appointment with Dr. Saepoff at our Issaquah dental office. We look forward to helping you live a naturally healthy life!